Emily Franklin is the mother of four kids ages 9 and under. That she manages to cook dinner most nights is a feat in my eyes. That she cooks with passion, humor and wisdom--well she must be a force of nature. 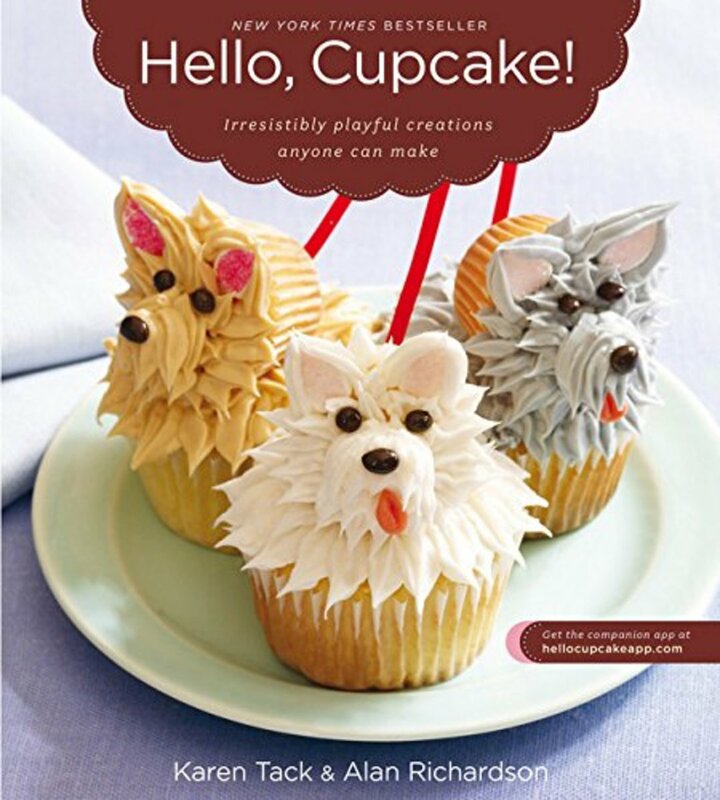 Oh and did I mention she also writes book? 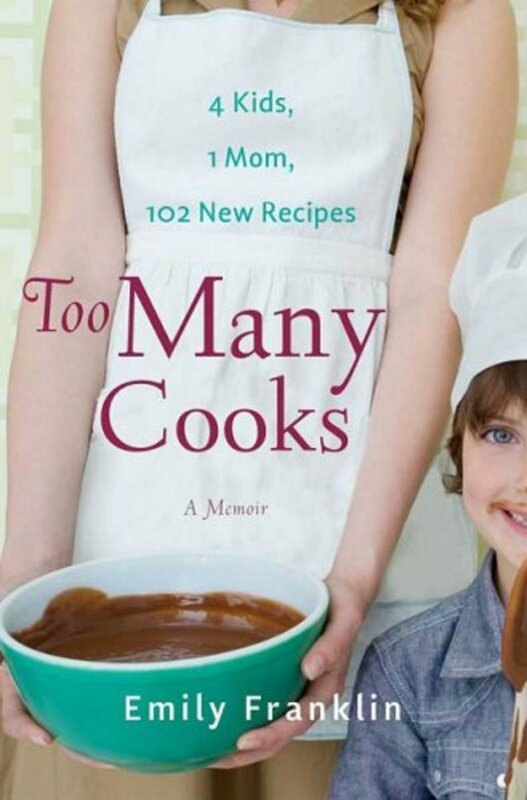 Emily&apos;s latest is called Too Many Cooks: Kitchen Adventures with 1 Mom, 4 Kids, and 102 Recipes($16.31 on Amazon). It&apos;s more motherhood tale than kitchen manual. The recipes are all things you or I might take on--one chapter features root beer floats and a simple maple vinaigrette. If you love kids or love food or a combination of the two, you&apos;ve found your summer reading. The real joy of the book is watching Emily navigate her kitchen with her kids underfoot. She doesn&apos;t shoo them away. She invites them to explore and watches them like a social scientist. Emily won&apos;t let her brood be lazy eaters and is constantly challenging their taste buds. Lassi (a traditional Indian beverage that pairs perfectly with spicy food) makes its way into the diet seamlessly--what a trick. Emily comes up against tough criticism from her pint-sized diners, but she never backs down on her mission to share her love of food with her family. We&apos;ve all been there, but she captures the moment perfectly. Her kids turn their noses up at plenty but she moves ahead. I admire her pluck and her prose. Bad mommies seem to be glorified these days and I for one find it refreshing to find a mom who is in the moment and embracing every minute of it. Let&apos;s start by saying I am not an accomplished baker. So many rules and measurements. But I do love cooking with my older daughter. So when McCormick sent me a goodie package loaded with food coloring, tools and a cupcake cookbook, I had to get into the spirit. cupcake recipe from the book and it was delish. Then I added the cream cheese icing--here is where the food color came in--we turned them sherbet colored (I wanted yellow, but the 3 y.o. was in charge). So baking turned into a fun learning session thanks to the food color (the color creator on the McCormick site is a fun way to teach kids about mixing). The easiest way to tame a picky eater is to get him (or her) involved in the kitchen. I’m always on the hunt for products that make cooking for and with kids easier. I was delighted to check out the offerings from Handstand Kids. 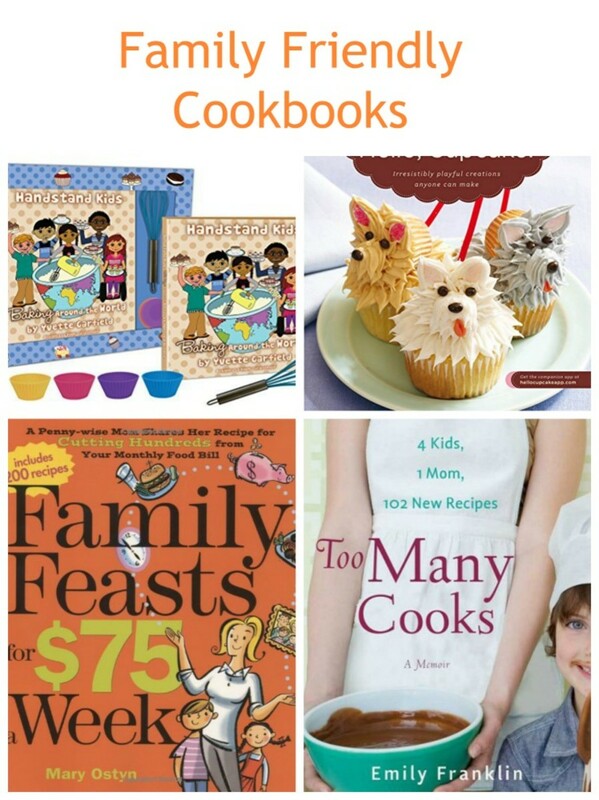 A team of artists and writers contributes to the cookbooks. So the variety is inspiring, from Mexican to Italian followto Chinese, there is something for every taste. All the cookbooks contain bright illustrations and a 1-2-3 type instructions. The ideas are easy to follow, but will require a bit of prep and shopping. We’ve been looking at recipes in the HSK Chinese Cookbook Kit($28). The Belly Bowl of Beef and Broccoli in the Chinese cookbook requires fresh ginger root and sesame oil–things you may not regularly keep in the kitchen. The recipes are ranked to indicate the level of difficulty. Chocolate Noodle Clusters are one chopstick (and look really yummy), while the Spring-a-licious Rolls earn four chopsticks (17 ingredients and a trip to a special market to get spring roll wrappers). If you’ve got a budding chef on your hands, I highly recommend picking up one or two of these books and trying some ethnic food with the kids. While you’re shopping, you might want to pick up a all-purpose mat. We got the China one. It has vocabulary lessons, pictures and teaches geography. And here’s a special treat. 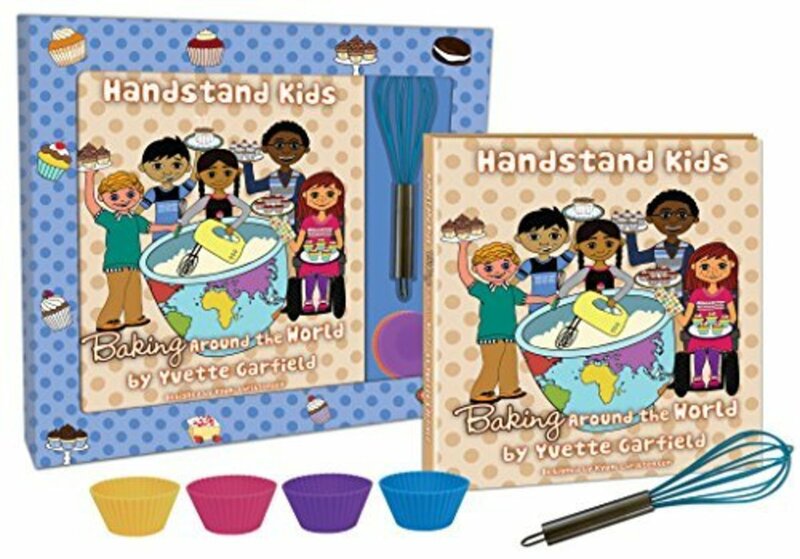 The Handstand Kids Cookbook Company honors father figures by creating a fun and easy-to-use platform for children to show dads their appreciation this Father’s Day. www.toasttodads.com, offers numerous easy-to-use features to honor dads, including: stories from famous chefs about cooking with their fathers; a unique e-card service with foodie-friendly messages of appreciation; daily quotes and news from celebrity fathers over the past 100 years; and much more. This Friday I am taking a break from showing you my kitchen escapades to review a new book: Family Feasts for $75 a Week: A Penny-wise Mom Shares Her Recipe for Cutting Hundreds from Your Monthly Food Bill ($17.95). In addition to her food guidance, Ostyn has packed the book with easy to make recipes (I’ve tabbed her hummus to try over the weekend)–most with fewer than a dozen ingredients. There is nothing boring about her picks. She shakes things up with global picks such as Mongolian Beef and Broccoli and Ethiopian Chicken Stew (Doro Wat). 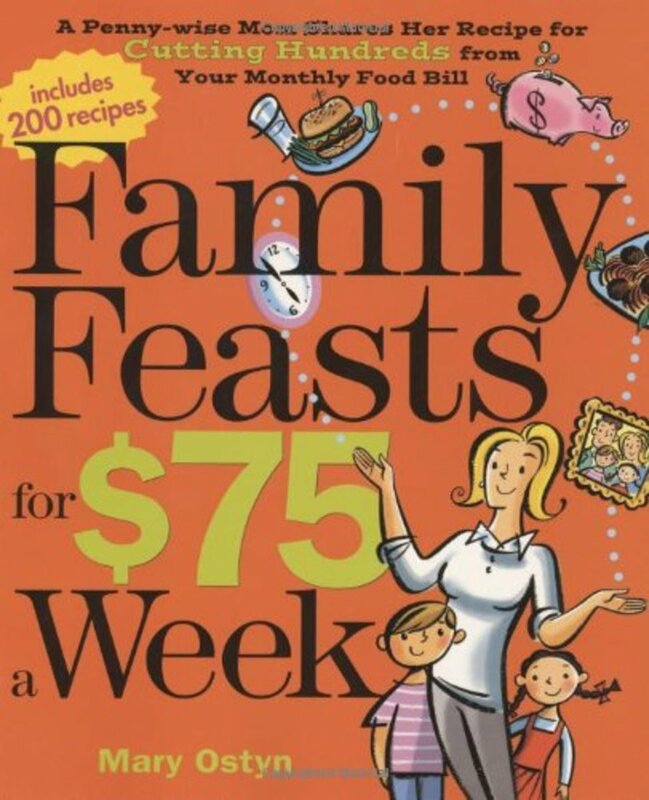 All in Family Feasts for $75 a Weekfollow is a great book for moms trying to do more with less, or a chef who wants a little inspiration in the kitchen. My one wish? For some color pictures of the recipes. Maybe for her next book!